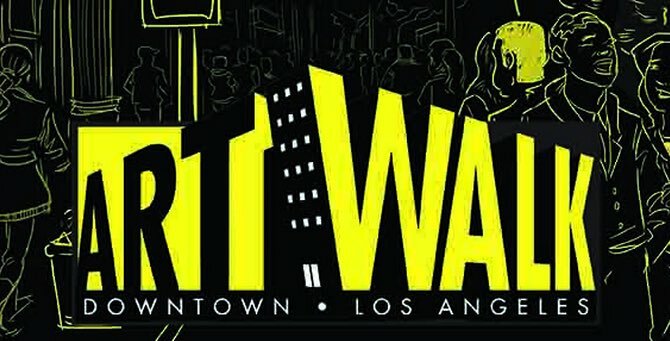 What is the Los Angeles Downtown Art Walk? The Downtown Art Walk is a free self-guided, public art fest that takes place (normally) on the second Thursday of every month along Gallery Row, a designated 7-block stretch on both Spring and Main streets that spans approximately 7 blocks from 2nd to 9th. Since the first Art Walk in 2004, the event has grown from around 150 people to now attracting nearly 10,000 visitors every month. Art Walk visitors can take part in gallery tours, shop the art mart and adjacent local businesses, sample nearby food trucks, and experience the overall flavor of the downtown Los Angeles Historic Core. Hours vary by gallery, but can typically range from noon – 10:00pm. For more information on official gallery tours, visit the Art Walk website.